After Itachi released Izanami, Kabuto got stuck in the loop. The first time Kabuto stabbed Itachi with his sword that is when Itachi activated it. In theory Kabuto can decide his fate by canceling the Edo Tensei, and then get rid of Itachi. But it means the ending of Madara and wars. In other words, he will also lose the opportunity to enjoy a situation where Sasuke and Itachi could not kill him as one of the keys in the war, because they require Kabuto alive to end his jutsu. Make sense? In other words, fighting like a big circle. Kabuto will decide his own fate after canceling jutsu, he can break away or die at the hands of Sasuke. 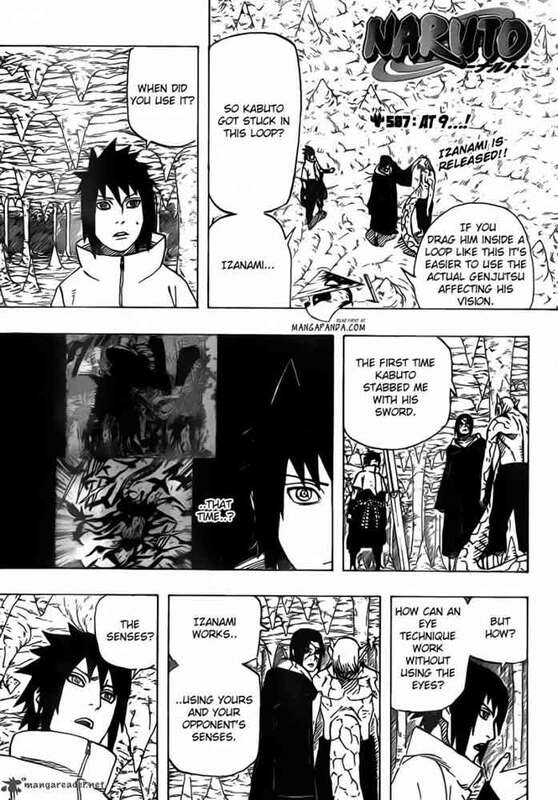 Or, he did not end the jutsu and get stuck in an endless loop (Izanami). Itachi tried to corner him. Kabuto will never end his jutsu because he's using it as a means of immortality for himself. That's why he wanted to take control Itachi again and because Itachi as he is now is the greatest weakness of his jutsu. Practicaly saying, Izanagi and Izanami are forbidden jutsu. Izanagi is a technique that able to change destiniy and Izanami was originally created as a method to punish and save the users of Izanagi. By using Izanami on Kabuto, Itachi want Kabuto to acknowledge his mistake and acknowledge his real self.